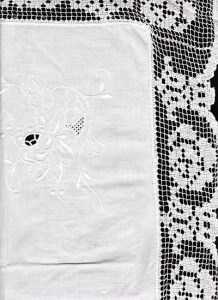 Tuscany lace is a form of decorative netting and perhaps to have originated in Tuscany from the net-making techniques that a fishing community would require. Other designer’s touch and decor idea. 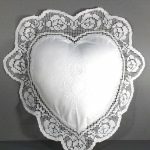 A heart shaped pillow cover serves as a doily atop a cedar chest. A budget wise tip for easy decorating adds romance and elegance to an ordinary piece of furniture. 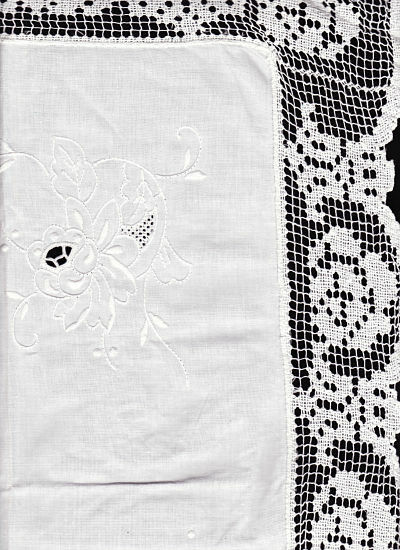 The matching tuscany lace table topper on the night stand beside the bed provides a finishing touch to complete the decoration. 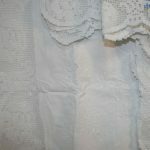 Hand crafted with lace trim and satin stitched embroidered accent. 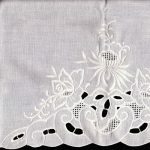 Tuscany Lace trim :hand knotted Modano style 4″ wide in roses motif. Precise dimensions can be available upon request.